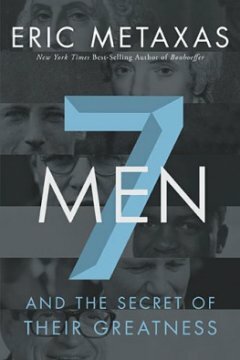 Seven Men: And The Secret Of Their Greatness is a collection of bite size biographies on seven of the most influential men who have lived. The common thread that runs through them all is the bravery with which each man stood up for what he believed. None of them were perfect, but each one fought in his own manner for the greater good. Metaxas tells each story with an irresistible flow that will keep you turning the pages and wishing there was more at the end of each chapter. He is witty and humorous while shedding light on the lessons we can learn from those who have walked before us. I highly recommend this book and especially to young men who desire to make a difference in the world. Come and read of the sacrifice and determination of those who already have. If you ask any American why the Civil War was fought, you would get a variety of answers. It would be interesting to compare a survey of Northern and Southern states. Some may mention the issue of slavery, many would not. 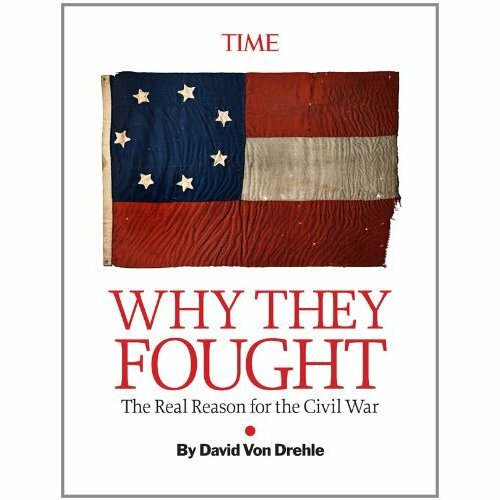 I recently read a Kindle Single entitled Why They Fought: The Real Reason for the Civil War by David Von Drehle. The author sets out to prove that the Civil War was fought because of slavery. To be sure, there were other reasons that brother took up arms against brother and fought the bloodiest battle in American history Only a fool would suggest that the issue of slavery was on the mind of every soldier as they marched on the battle field. However, the author meticulously proves that slavery was the issue that started the violence which resulted in war. Christianity can learn something about how this fact was lost, covered up, and forgotten. Truth lost its constituency. To talk honestly about slavery meant talking about equality, and look where that had led. Leading thinkers in the postwar North recoiled against the idealism of the previous generation of intellectuals. In its place they fostered a philosophy of pragmatism, in which ideals are judged not for themselves but by the results they produce. This is the danger when truths are replaced with pragmatism; truth gets swept under the rug for a new ideal, philosophy, or method that produces greater results with less effort. Truth always has and always will work! It is my prayer that my generation will remember the Truths of the Word of God fought for by those who went before us. Let us not lay them aside for something which ‘works’ (according to man). Truth is marching on and I intend to march with it!